Friday (The rare Twins prospect trade) edition: Wha' Happened? Consider last night's trade of Wilson Ramos for Matt Capps another step in the evolution from low-mid market team to mid-upper market team for the Twins. This is the kind of move a team that thinks it can win now -- and a team with a top-10 MLB payroll at the start of the season -- makes. In short, this is not the kind of deal the Metrodome Twins used to make. Frankly, it's hard to remember a time in the recent past when they have made a major trade involving dealing a top prospect for a proven player. Usually, it's the other way around (see Santana, Johan). If they have made swaps, even at the deadline, they have been low-level deals for much more marginal prospects or have involved current major leaguers (like the Bobby Kielty for Shannon Stewart swap in 2003). Even Matt Garza had 24 starts under him with the Twins before the Delmon Young trade. 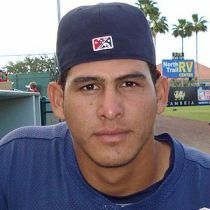 Ramos, despite his impressive audition here earlier this year, falls definitely into that "prospect" category. He's unproven and raw. He might be great. He might be a bust. He'll probably be somewhere in between. Capps is an All-Star closer. It would be nice if he struck out more hitters. It would be nice if he hadn't had a pretty awful 2009 season. But he will help, no doubt. He can help a team win now. If you still feel like the Twins are one more deal away from truly making a run -- a deal for a top-end rotation guy -- then you are not alone. It might take one more of these prospect deals in the next 24 hours. We shall wait and see if it happens.